FACT: While Israel has routinely been criticized for the targeted killing of terrorists, the United States has actively engaged in a policy of assassinating al-Qaeda operatives since 9/11, culminating in the announcement on May 1, 2011, that Osama bin Laden was killed by U.S. special operations forces. Like Israel, the United States believes that killing the planners and perpetrators of terror attacks is vital to its national security. This strategy prevents attacks, sends a message to would-be terrorists that there is a price to pay for terror and makes the planning of attacks more difficult by keeping the terrorists on the run. 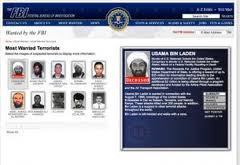 Killing bin Laden was part of a broader strategy of eliminating the leadership of al-Qaeda. Israel has successfully pursued a similar approach in targeting the leadership of Hamas. Pinpoint Israeli strikes killed Mahmoud Adani (2001), Salah Shahade (2002), Ahmed Yassin (2004) and Abdel Aziz al-Rantissi (2004). The death of its leaders temporarily crippled Hamas and compelled the organization to call for a protracted cease-fire with Israel in December 2004. After Hamas recommenced rocket attacks into southern Israel in 2011, Israel resumed targeting the terrorists and the group again called for a truce. As President Obama remarked in his address to the nation, "the death of bin Laden marks the most significant achievement to date in our nation's effort to defeat al-Qaeda ... on nights like this we can say: Justice has been done." Bin Laden's death does not constitute a final victory over terrorism, but the United States has struck an important blow and sent a message, echoed by Israeli policy, that terrorists will not evade justice.